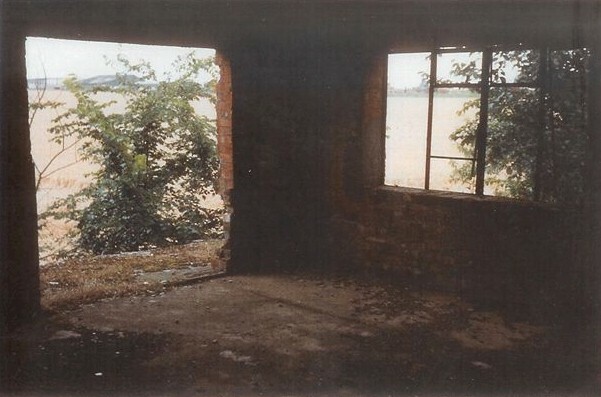 An historical WWII airfield site that had deteriorated since 1945. Farming was the first priority at the time. 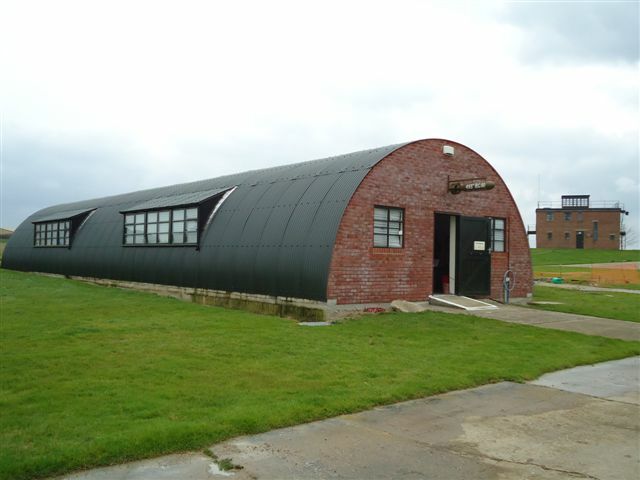 Now, in the third generation, Richard Taylor (owner of the airfield) realised that we had a duty to those who were stationed at the airfield 1944/1945. 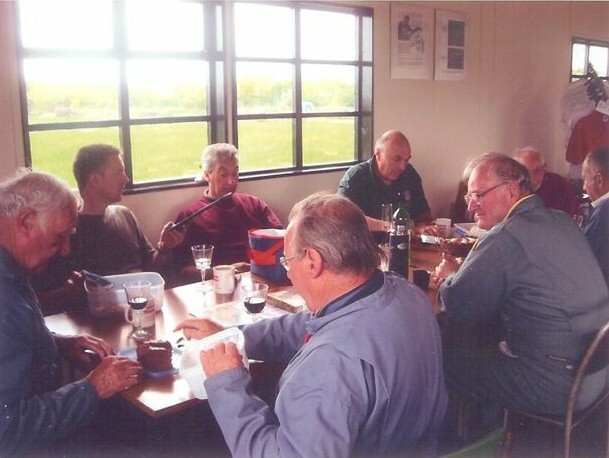 Richard was already interested in restoring WWII vehicles and had visited other restored airfield sites in the area. His interest now had spread to the buildings. 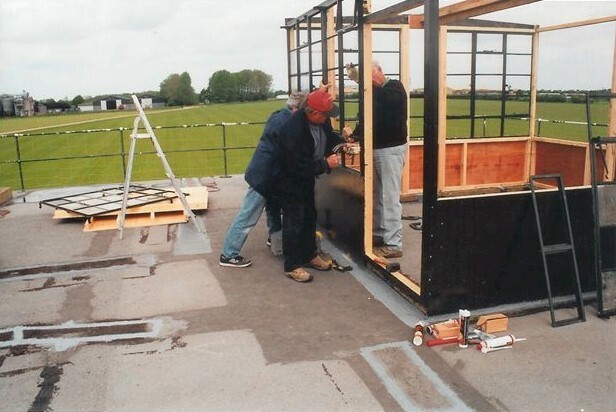 In the year 2000, the first building to be restored was the Control Tower. It was derelict. 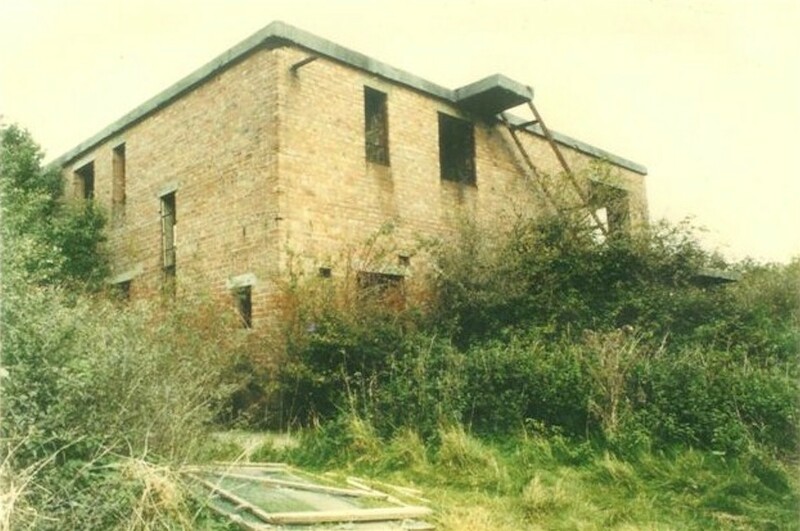 Bushes and trees growing out of the walls and roof – no windows or doors and graffiti on the walls. 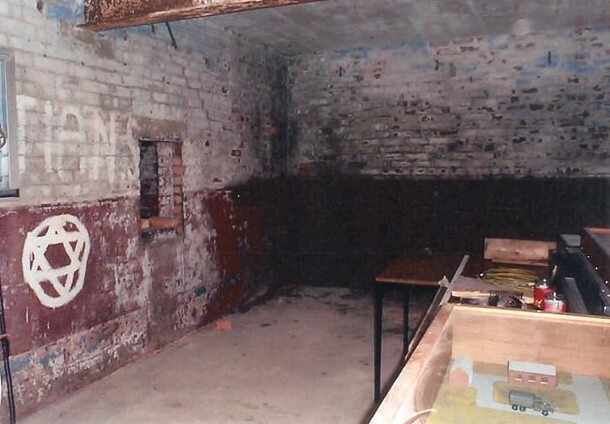 Thankfully, 2 or 3 local people were also interested, and the restoration began. 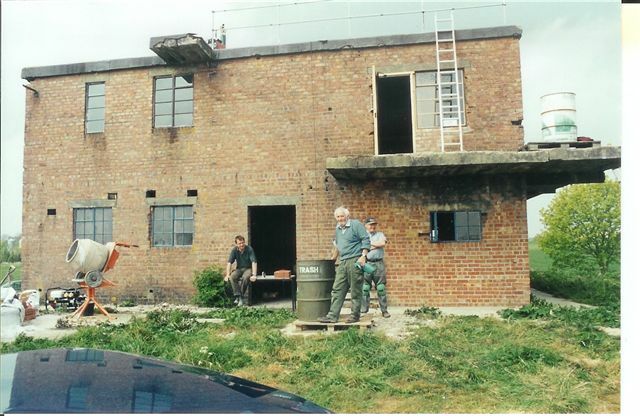 Eventually, the Control Tower was ready for the displays and was set up to mimic how it would have appeared when the 8th Army were in residence. We still did not have enough room to show all the exhibits! 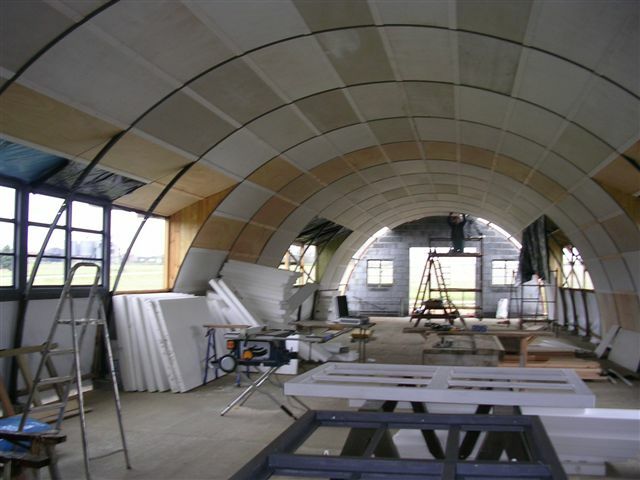 The next project was the Nissen Hut Museum. Richard had managed to buy some original hoops from another airfield. They were rusty and twisted and did not resemble in any way what they had been used for. Many hours were spent unravelling, sand blasting, re-shaping and painting these hoops. This was only the beginning! 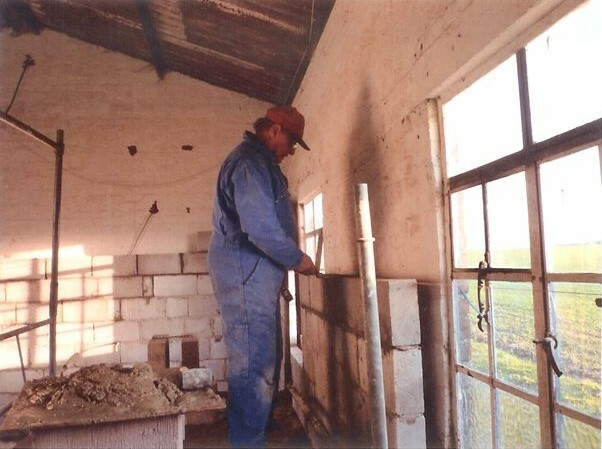 Basically, the only part of this building left was the concrete floor – so the work began. 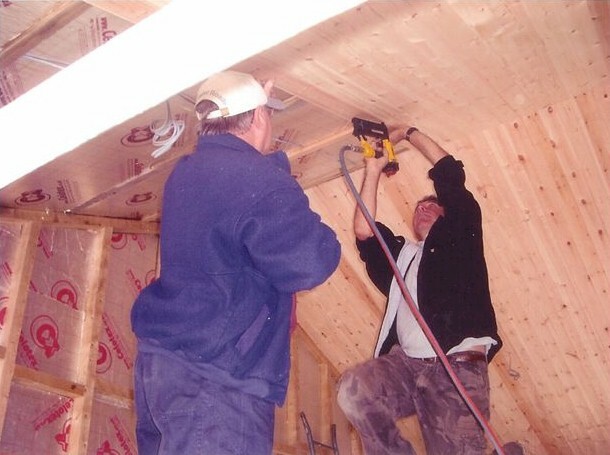 This was a major project and even when the shell was completed, there was a great deal to be done on the inside. 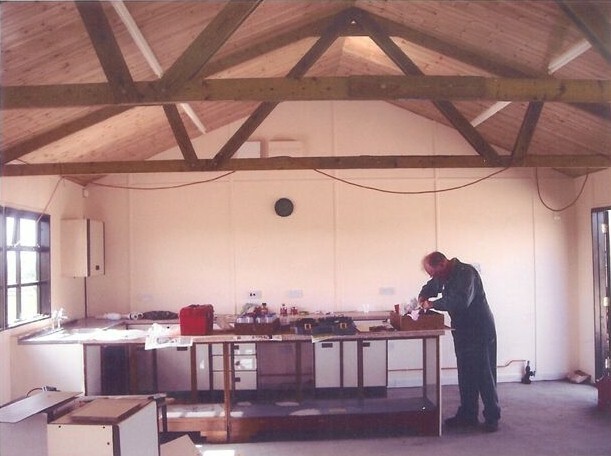 By the time the restoration of the Nissen Hut was taking place, our volunteer numbers had increased and their skills were vast. How lucky we were. 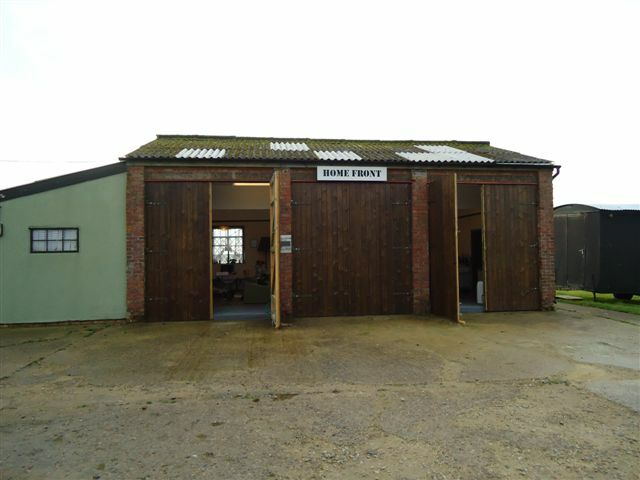 This building was originally the old ambulance shed and had been used to store small farm equipment. 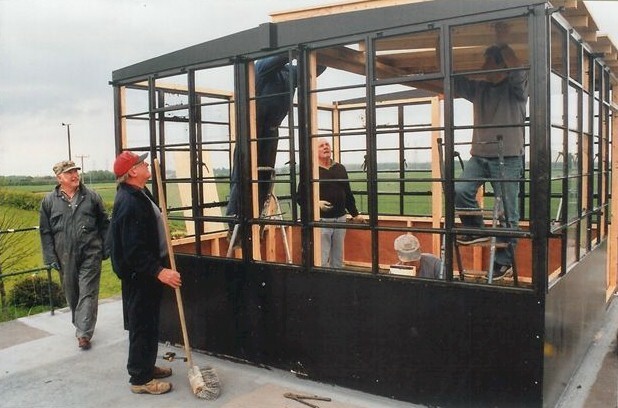 It had no doors and was open to the elements. It was decided to make this the next project for restoration. 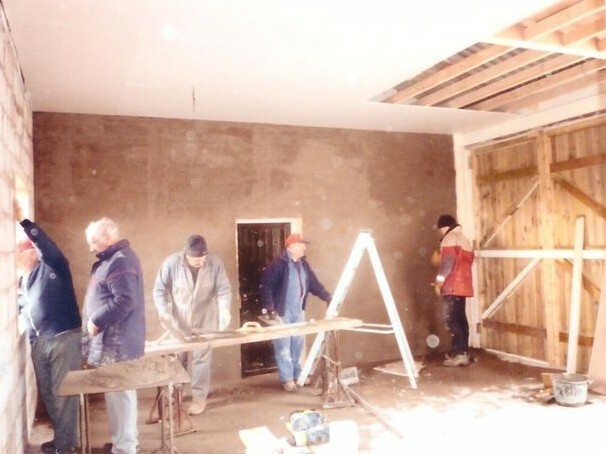 The walls were dry lined and plastered – a false ceiling erected and three pairs of immense wooden doors were made on site and fitted. 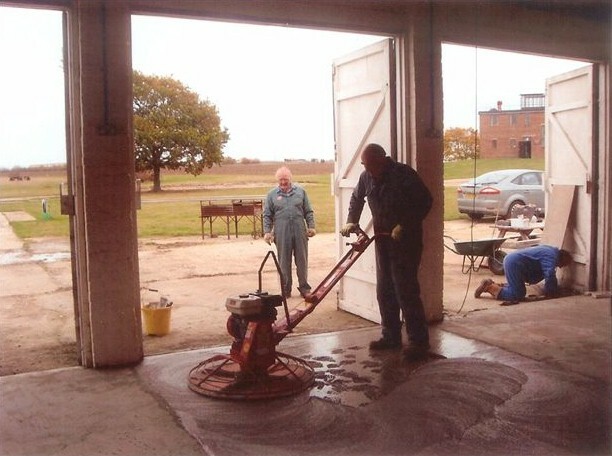 Having accomplished all of this work, the next job was to concrete the floor and polish to a good surface. The building lent itself to being a three room house, furnished in 1940s style, thus giving an insight to our visitors on how everyday life carried on during the war years. 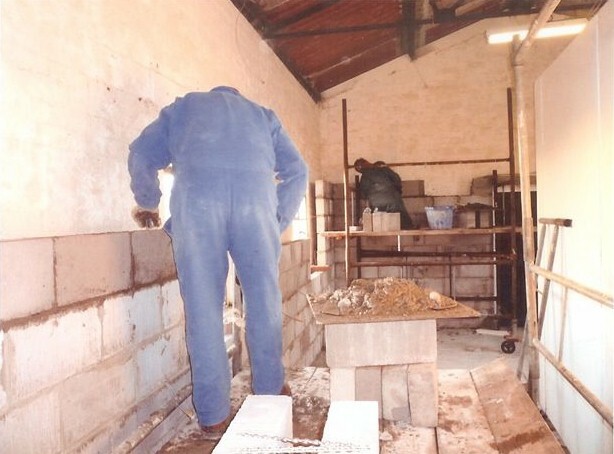 Running alongside the previous two projects,another mission was being accomplished. 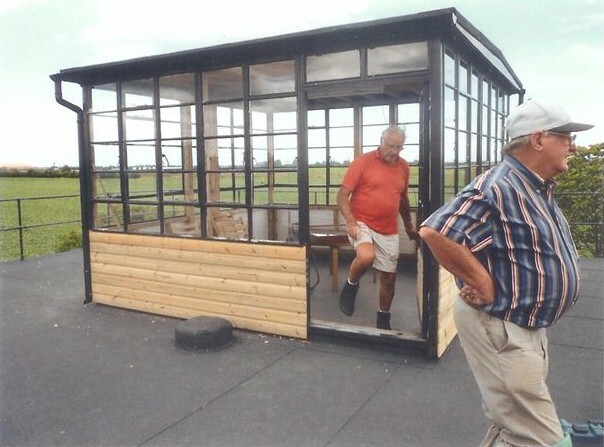 The control tower had lost the cupola (viewing station) on top of the roof. Only photographs of the tower in 1944/45 showed this feature. It was, therefore, decided to rebuild it. Measurements and design features were obtained from Veterans who had worked in the Tower and any written material we could lay hands on. 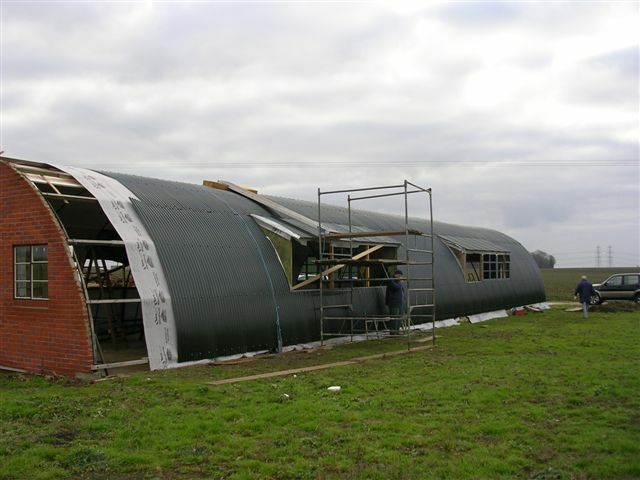 The windows came from redundant buildings at RAF Bentwaters which were being pulled down. These were then sandblasted, painted and reglazed. 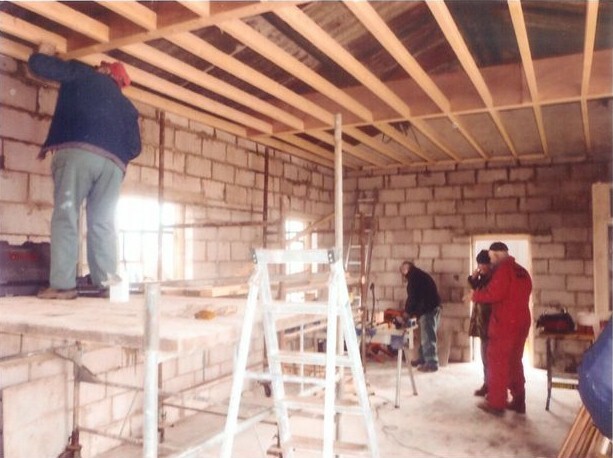 Everyone was feeling so pleased at this point - all was well and visitors were coming to see the progress that had been made.They were very complimentary with their comments on the museums and their displays. However, most of the visitors were asking where they could get a cup of tea or wanting to have a sit down between tours of the museums. Another project was born. 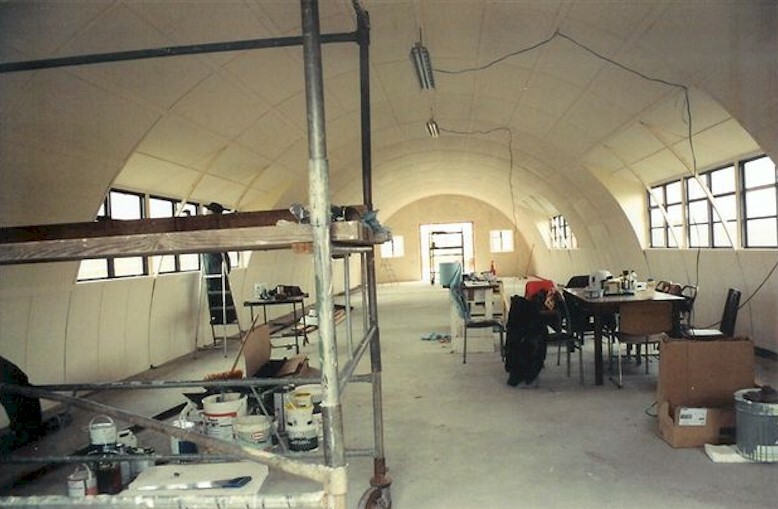 There was a great deal of enthusiasm for this project - partly because the volunteers realised that this building would also provide a very cosy place to eat their packed lunches and spend time putting the world right. 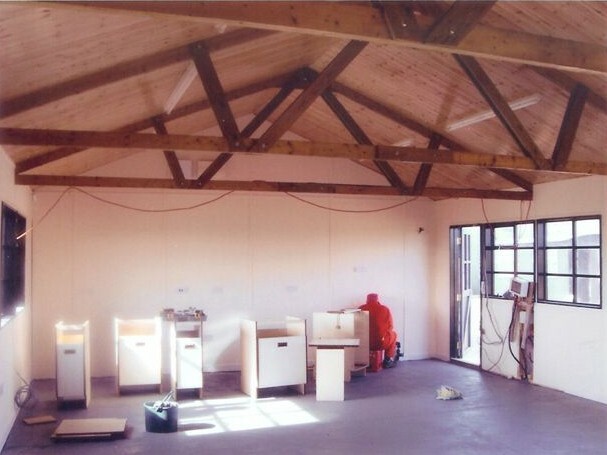 This building has proven to be a real asset - for school visits, private visits and a meeting place for all the volunteers. To have a closer look at these photographs and more – go to the gallery page or come and take a look for yourself.